‌Historian and professor Sean Dempsey, S.J., has paid close attention to the Republican and Democratic conventions and rallies. An expert in urban, religious and U.S. history, he hears political talk that is filled with moral language. Dempsey, who is assistant professor history in the Bellarmine College of Liberal Arts, speaks here about the sources of political moral language in the 2016 campaign. You’ve been paying attention to the use of moral language at the Republican and Democratic conventions and rallies. What differences have you noticed in how the two parties are speaking? I’ve been listening for a particular moral view of the United States: how ought we to live together; what is our country, fundamentally; what should it be going forward. From a scholarly perspective, what’s more interesting is what has happened on the Republican side. There is a long history of how evangelical Christians, who had been somewhat apolitical earlier in the 20th century, come into full flower by the 1970s and ’80s and adopt the language of conservatism, becoming a political force in the Republican Party. By the 1970s, evangelicals took something that is inherent in their own tradition — a strong emphasis on the individual and the individual’s relationship with God, with Jesus Christ — and saw a fitting home for themselves in the political language of Republican Party conservatism, which emphasized individual ambition and entrepreneurship. They found kindred spirits there. How does Donald Trump, who appears to have no strong religious affiliation, fit into the picture as the nominee of a party with a strong evangelical base? What Donald Trump is picking up on, from my perspective as a historian, is something older within the Protestant Christian, and especially the evangelical, tradition: a vision of the United States as fundamentally a white, Protestant Christian nation. 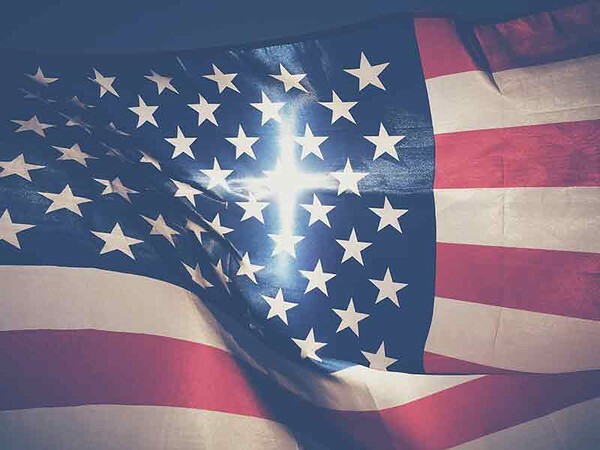 That view goes back to the 19th and possibly the 18th centuries — the idea that the United States was founded as a Christian nation and has as its mission in the world, not secular democracy per se, but actually the expansion of Christian identity. So, interestingly enough, Trump seems like a radical break, but some of the strings he is plucking, so to speak, are actually older ones, not brand new ones. What do you see happening on the Democrats’ side? The language of the Democratic Party convention is one that I would associate more with the Catholic Church — apart from issues surrounding abortion rights — and with what used to be called the mainline Protestant churches, and with the African-American Christian experience. The Roman Catholic Church, being a global church, has always been somewhat more comfortable with what today we would call issues of diversity. Because so many immigrants were Catholic, the U.S. Catholic Church has always been a strong advocate for immigrants. And mainline Protestant churches have often been much more comfortable with cultural diversity, secularism, pluralism and modernity than their evangelical counterparts. Perhaps most important of all are the African-American Christian churches, which have always emphasized the social dimension of faith and the strong overlap between political action and advocacy and the expression of faith. Other religious groups are also well represented, of course: Jews, very prominently, and others. But in terms of Christianity, you see a vision rooted in a social Christianity that’s much more comfortable with diversity. Four years ago, Republican Party nominated Mitt Romney, a Mormon, and there was relatively little conflict within the party between religious belief and political conservatism. This year, Ted Cruz and Donald Trump represented the conflict between faith and politics. What does it do to a party when particular actors embody philosophical conflict that the party as whole prefers to keep in harmony? Despite the personal animosity between Cruz and Trump, it seems that the supporters of Cruz, if polls are to be trusted and I think they should be, have moved with very little controversy over to Trump. Cruz, the son of a pastor, likely sees no overlap between his vision for American and what I assume he sees as Trump’s vision for America. But I think, and this is a guess, that many of Cruz’s supporters see in Trump a person who will defend their core vision of the United States, even if he is not a man of deep faith. On the Democratic side, we saw attempts by the party four years ago to reassure groups like Democrats for Life of America that they had a place under the Democratic tent. This year, there seems to be little overt effort to do the same. Are the tensions among Democrats similar to those among Republicans? I think so. That tension is part of the ongoing story of the migration of many Catholics out of the Democratic Party. There was a time when the Catholic Church in the United States and the Democratic Party were conjoined twins of American society. You can see that in Franklin Roosevelt’s New Deal, which basically reflected Catholic social teaching in many concrete ways. And it’s well known that the Democrats’ embrace of abortion rights and reproductive rights, especially after the 1973 Roe v. Wade decision, began a cleavage of the Democratic Party and the Catholic Church. They’ve been doing a careful dance for more than 40 years now, trying to maintain a place for pro-life Democrats who, in almost all cases, have been Catholics. That dance seems to have ended this year, because the Democratic Party has come out without any hesitation or nuance in favor of abortion rights. Many have said that little place seems to remain for these pro-life, mostly Catholic, Democrats. I think that’s a major sea change. It suggests a new trajectory for the party, and perhaps a new trajectory for the place of Catholics and other pro-life people in American politics. Will we see an even greater migration of Catholics out of the Democratic Party? Will we see a formation of new parties? I think we might be at one of those moments in American history. Polls show that Americans are exhibiting a decreasing affiliation with organized religion, but you are identifying a religious overlay to both party conventions. What does it say about our politics if religious language is still useful in a time of declining practice? It’s fascinating. Another poll suggests that Americans are at an all-time low in what they consider the political influence on American politics of their own churches. An increasing number of people are disaffiliated — they’ve left the church of their upbringing — and few Americans claim to be listening to what the churches have to say on issues. All of that is true. Yet, the United States remains a God-believing society. It is still roughly 80 percent or more Christian. If I had to bet, I’d say we’re seeing religion and politics intersect in different ways than we’re used to. But I don’t think we’re seeing religion disappear from politics. Historians are better at looking backward than looking forward, so the question for me is whether this is something like the death of a star. When a star dies, it leaves its light and warmth for a long time, even though it is essentially dead. So, is this a lingering cultural influence of religion? In 50 years, will we look on this time as a last hurrah? Or is it evidence that religious language and notions are entering into our discourse in different ways? I think that’s certainly a possibility. This interview is an edited version of an interview that first appeared at LMU Magazine.